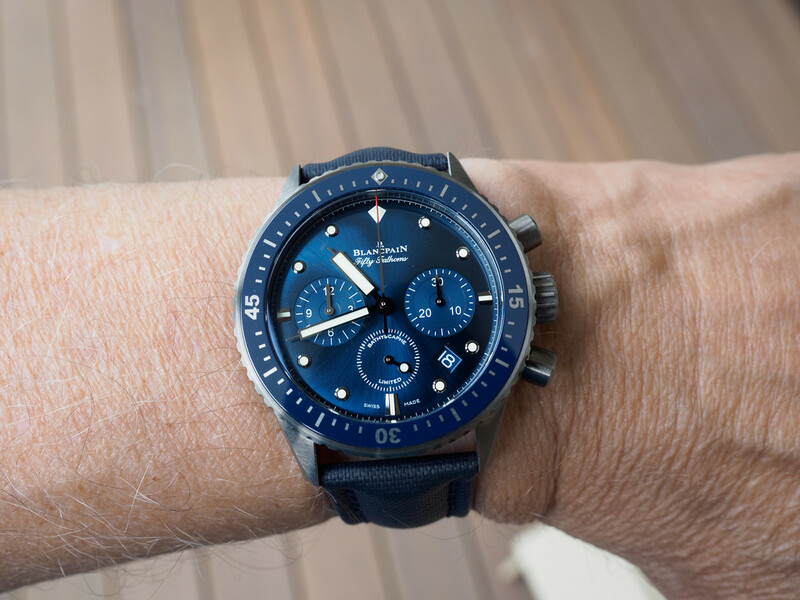 Several months ago I saw the (original) Blancpain Ocean Commitment Bathyscaphe chronograph and was struck by its beauty. 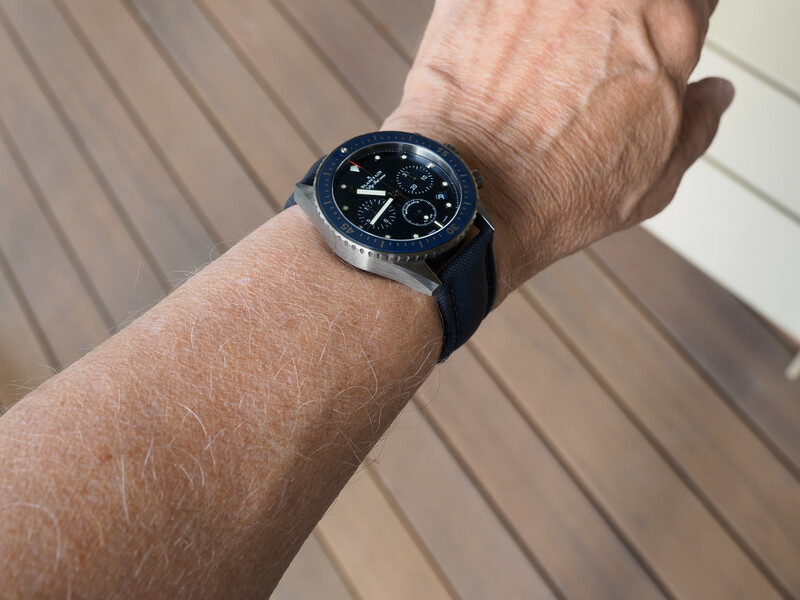 Having a few months prior purchased a black ceramic Bathyscaphe however; I was out of the market. Every time I visited my AD, I would look at it and once again feel the tug. Still, the price seemed out of reach and finally it was sold. Then, as if to taunt me, they received another one. Said to be the last one unsold. 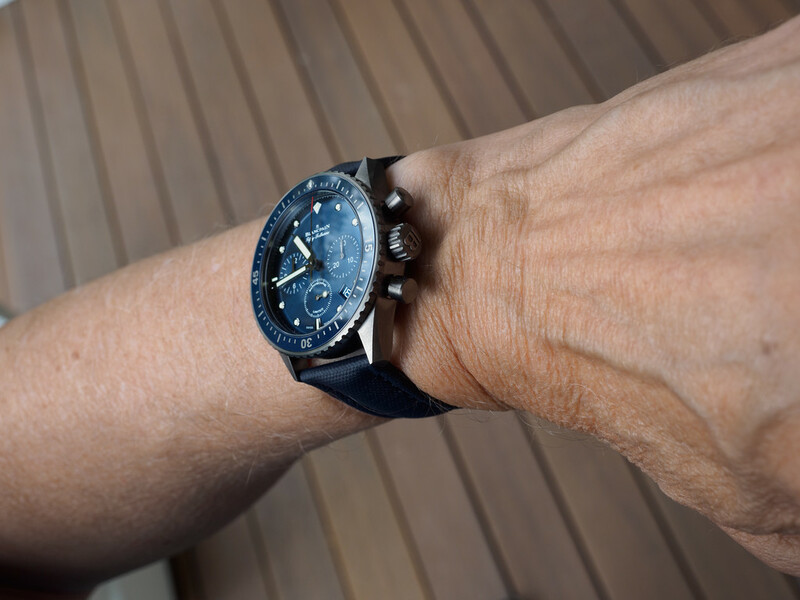 Just recently, the pictures emerged of the new Ocean Commitment chronograph and they just didn't do it for me. The blue case was just a leap too far for me, lovely as the watch is. So I bit the bullet, contacted my AD and opened negotiations. We arrived at a mutually agreeable price and today it arrived! Of course I'm thrilled but it is way too soon to have formed anything more than initial impressions. 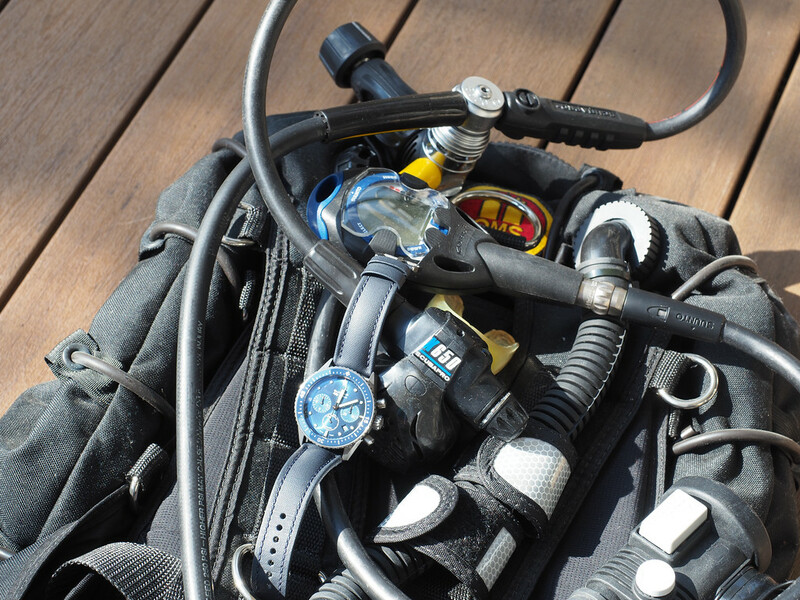 Just so you don't think this will be just a desk diver, in the proper spirit of Ocean Commitment it will be traveling with me next January to New Zealand, Australia and beyond for some cold water diving. 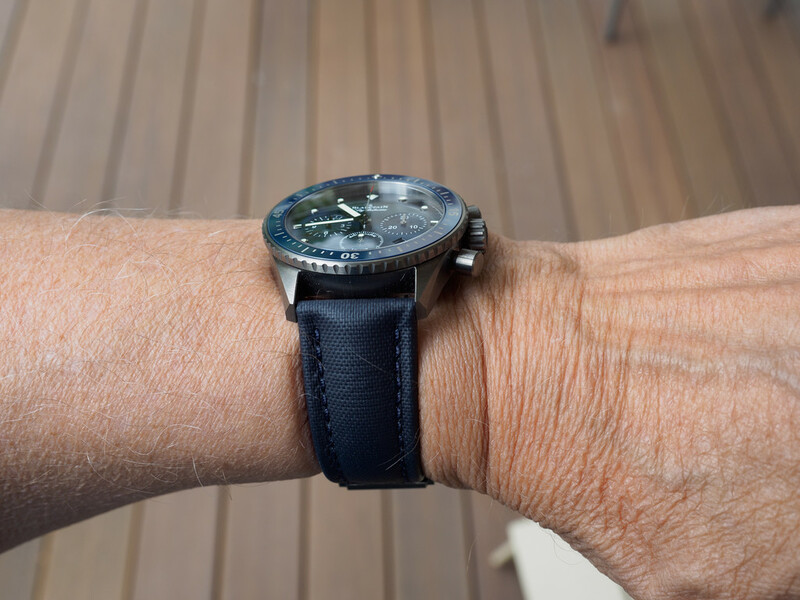 I expect it to perform as any Blancpain dive watch should.